The First Minnesota Gun Rights Focused Show. 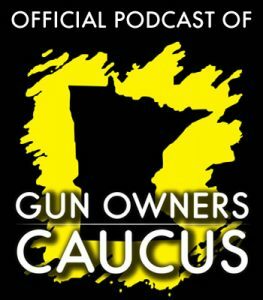 Welcome to the MN Gun Report podcast. Host Mitch Berg will frequently update you with what’s happening in the world of gun rights here in Minnesota, and around the country. We keep you updated on important firearms related legislation, events, elections, lawsuits, special guests, and answer your questions on the show. Please, be part of the show by sending us your questions. Bryan Strawser is Interim Chairman, Executive Director, and co-founder of the Minnesota Gun Owners Caucus and Political Action Committee. In this role, Mr. Strawser leads the Caucus on a day-to-day basis. Bryan is a NRA-certified firearms instructor in multiple disciplines. He is also certified as a Minnesota Permit to Carry Instructor by the Minnesota Association of Defensive Firearms Instructors (MADFI). Rob Doar is Political Director for the Minnesota Gun Owners Caucus and Political Action Committee. In this role, Mr. Doar is responsible for all aspects of the Caucus’ legislative and political activities, including legislative strategy, lobbying, political strategy, and coordination with other gun rights organizations such as the NRA. Rob is an avid outdoorsman, and serves with the US Air Force Auxiliary as an Incident Commander for Search and Rescue and Disaster Relief operations. Rob is also a NRA-certified firearms instructor in multiple disciplines and teaches permit to carry courses through his company, Aegis Outdoors.